Knights Hill Publishing, 9781937396039, 280pp. A singer in Tokyo's scuzzy indie rock scene, Shanti Hazard buried her past long ago. But when childhood friend Ned turns up in the audience at one of her band's shows, he threatens to reveal the ugly secret he and Shanti share. Determined to protect her friends and bandmates, Shanti plots to outwit Ned while the band tours snowbound northern Japan, sleeping on couches. A botched cover-up leads to murder and a tightening web of deception, as the band clashes with the merciless Japanese legal system. Ultimately, to defeat her past, Shanti will have to confront it... and Ned... before someone else dies. 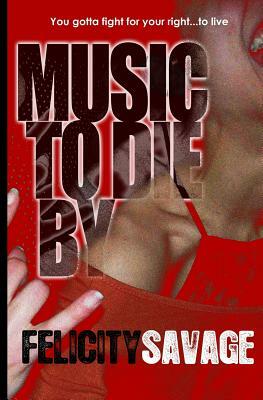 Music to Die By plunges the reader into the gritty world of the Japanese indie rock scene, building to a shocking climax. A suspense novel in the tradition of THE BEACH and THE SECRET HISTORY, Felicity Savage's MUSIC TO DIE BY combines an authentic sense of place with compulsive storytelling.